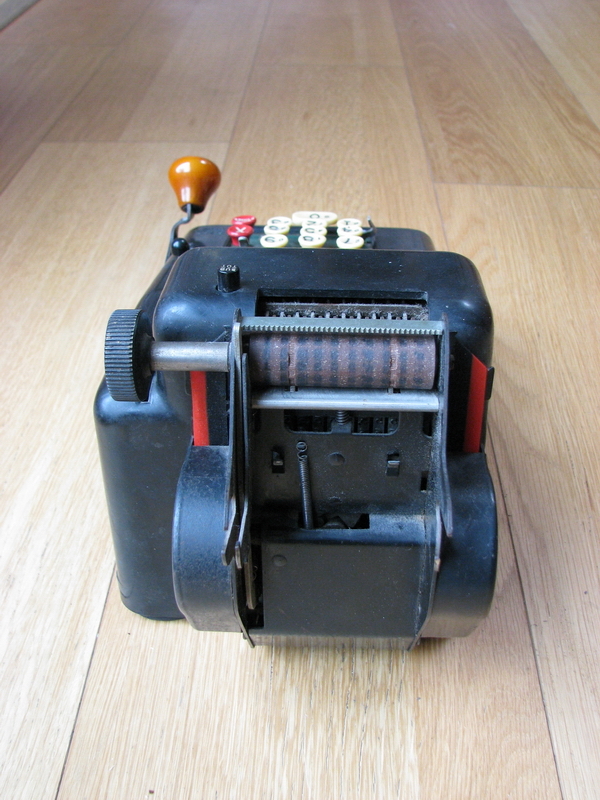 The red comma indicator is moved from left to right and back by the wheel poking through the front of the housing. 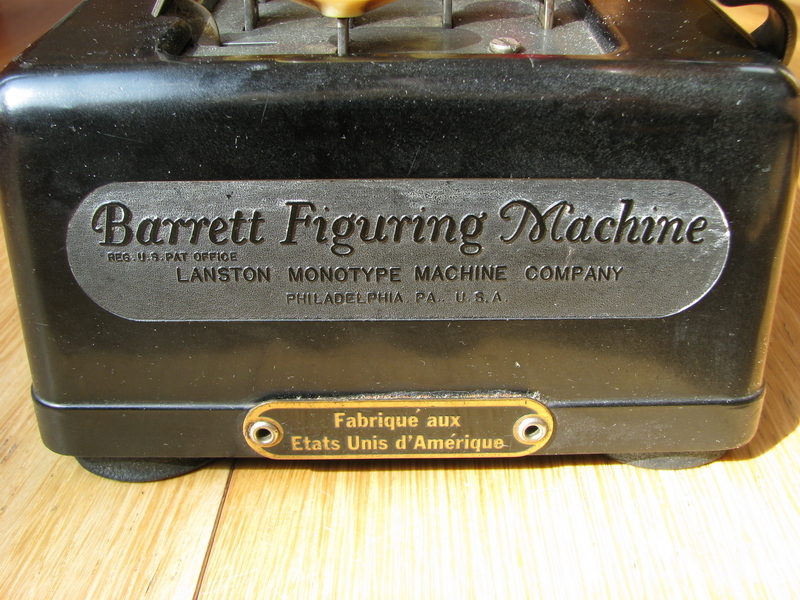 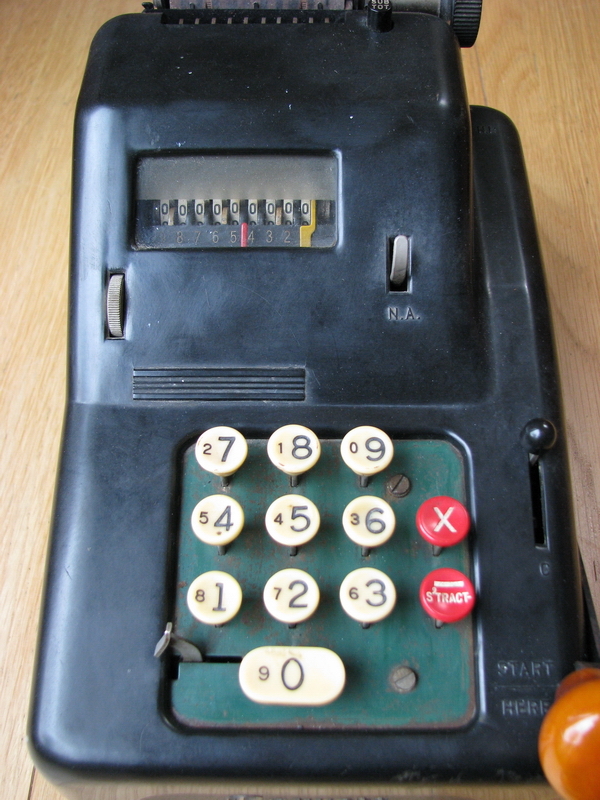 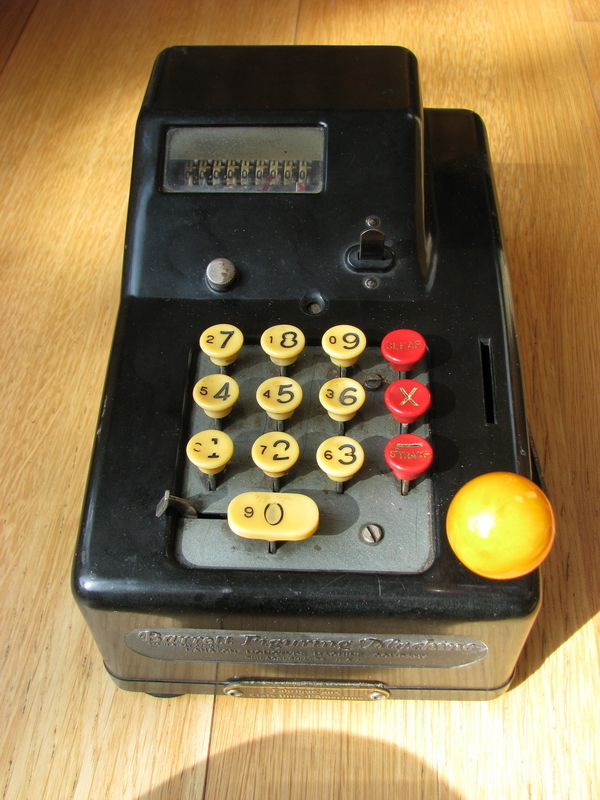 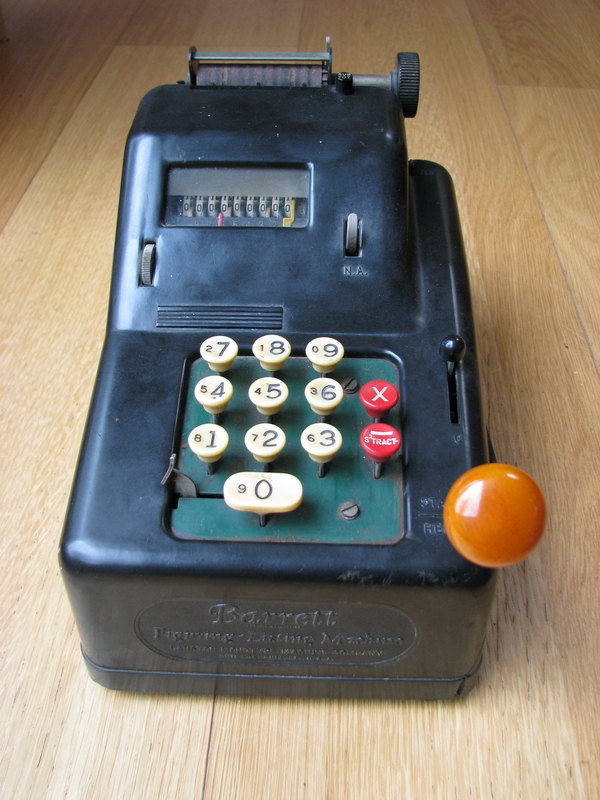 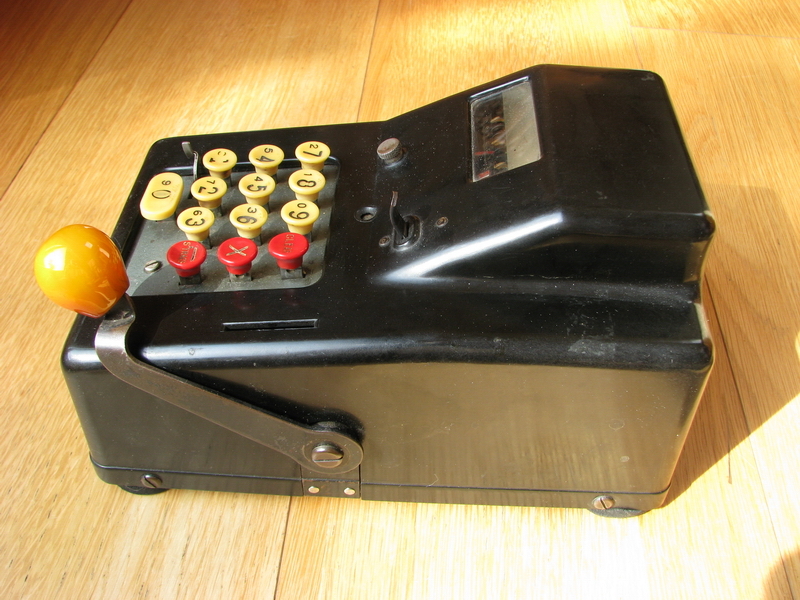 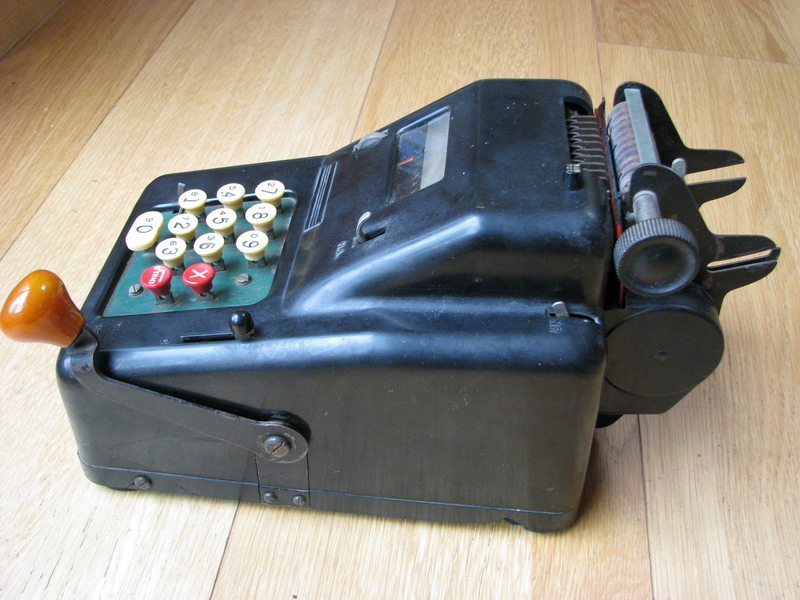 ... as well as the Barrett Figuring Machine, or rather, the A-type machine, without the listing functionality. 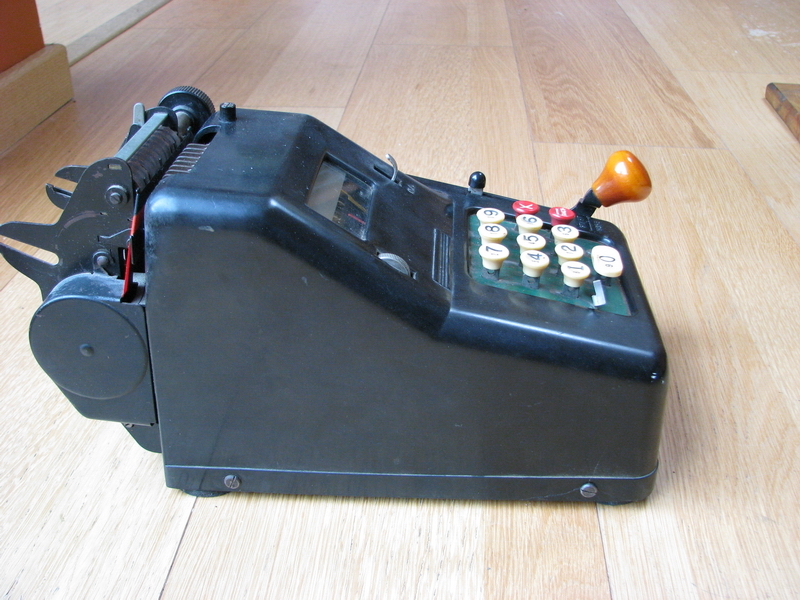 Also the housing contains less text, and the comma indicator mechanism is completely different, and rather windshield-wiper like. 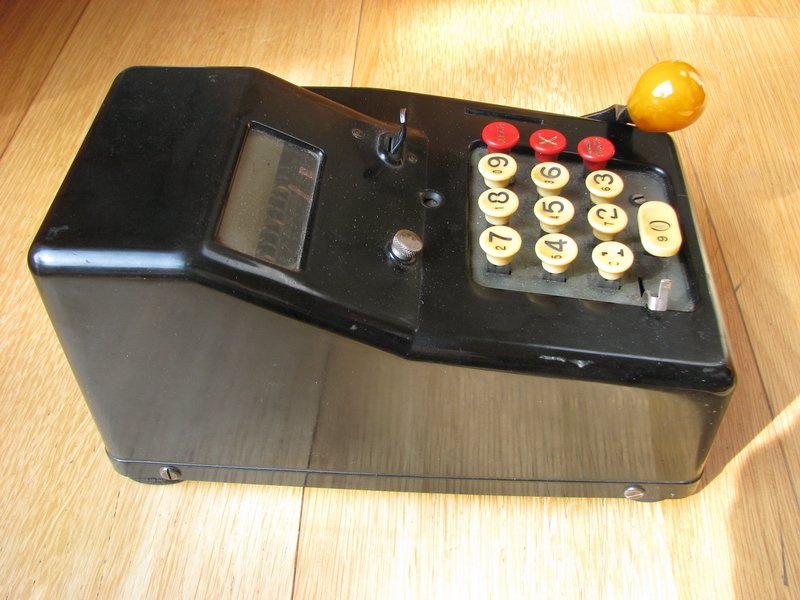 But it does have a shiny yellow knob too! 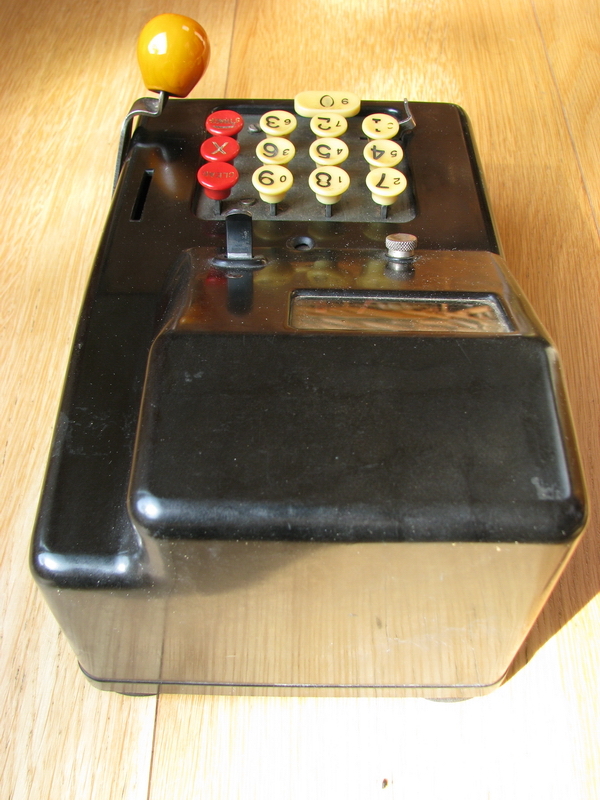 Do note the tiny round window right on top of the keyboard, which will display an indicator showing how many digits you have entered already on the last entry.